Malaysia's foreign ministry has said that it "strongly protests" a new travel advisory over security concerns on its eastern Sabah state. "The Foreign Affairs Ministry strongly protests the decision of the U.S. government to subject Malaysia to the newly-introduced K indicator," the foreign ministry said in a statement late on Sunday. Malaysia's inclusion was announced by the U.S. State Department on April 9, reflecting the U.S. government's concerns about potential kidnapping or hostage-taking situations in certain areas of eastern Sabah, which borders restive southern Philippines, the statement noted. However, it said the new travel advisory "lacked objectivity" and did not reflect the reality on the ground, particularly the security situation in eastern Sabah, which remained safe and protected for tourists. 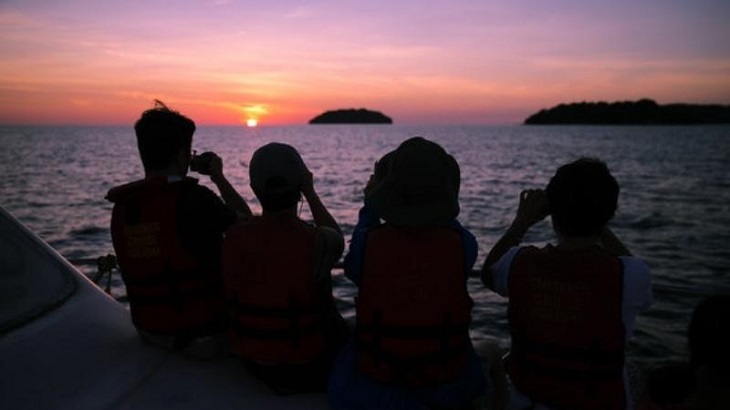 "This is borne by the fact that the number of tourist arrivals in Sabah has grown by 5.5 percent, reaching 3.87 million last year." Further more, said the statement, the number of kidnapping incidents has dropped significantly to almost nil, thanks to proactive measures taken by the Malaysian government, such as increasing the number of patrols, closer security cooperation with neighbor countries and the strategic positioning of security assets to secure the areas, it added. "Given these facts, Malaysia urges the U.S. to be more objective in its assessment. We urge the U.S. to immediately remove Malaysia from the K list." "The U.S. ambassador to Malaysia will be summoned to provide clarification on the new travel advisory," the ministry said.